Fascinating and Interesting Facts About Maltipoo Dogs: Maltipoo ownership is common among those who prefer a cute, friendly, and lovable dog. However, some Maltipoo owners do not have fully knowledgeable about the breed. (1) The dog does not have uniquely one name, but rather multiple of names: MaltiPoodle, Moodle, Malt-oodles, Maltese-Poodle, Multipoo, Maltipoo, Malte-Poo, and Malti Poo. As perceived, some of these names are funny. (3) Although the dog has a lot of hair, it sheds quite lightly. Hence his proprietor is not bothered with a constant need to clean after he drops his hair. (4) The dog is not purely an actual breed type, but rather a hybrid. 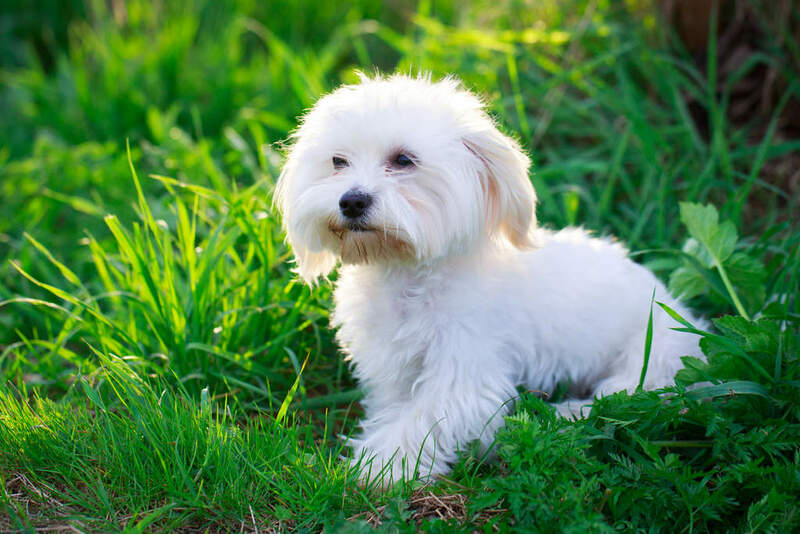 Some dog kennel organizations classify him as ‘non-purebred miscellaneous.’ It may be more accurate to classify the dog as such since he is a mixture of Maltese and Poodle breeds. However, not all people agree upon this classification. (5) When giving birth, they breed only 4,5, or 6 puppies per litter. It is so uncommon to have more than six puppies per litter, but it may happen. (7) The dog is sensitive and fragile when it comes to climate circumstances. In fact, during winter, he should wear a sweater to warm him, and his outdoors time must be shortened. You should be careful during summer, too. As a matter of fact, the dog is vulnerable to heat change and could be easily endangered. He may suffer from serious health issues when the hot weather settles. (8) The first generation of Maltipoo puppy differs from the following generation. This difference is due to the change in the breeding process. In effect, the first generation was produced after breeding a Poodle and a Maltese. The second generation, in counterpart, is the outcome of uniting two Maltpoos. 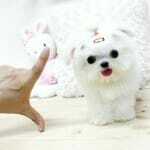 (9) Here is one of the cutest and most good fact concerning Maltipoos. However grown they are, they would still act- in some instances- as puppies. They perfectly mix they active and playful instinct, with their fascinating,easy training and loving This makes of the Maltipoos the most lovable among dog lovers and owners. (10) The dog’s size is generally dependent upon that of the parents. It is often the average of both parents’ size. For this reason, Maltipoos are either big or small in shape. Intangible terms, the small size is the outcome of breeding with a Toy Poodle, while bigger puppies are produced when breeding a Miniature Poodle with a Maltipoo. 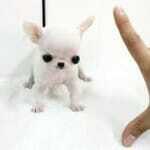 (11) It is undeniable that the dog is children friendly, but it is more suitable for older children than younger ones. In fact, the dog is quite fragile and sensitive, and being exposed to younger children may put his well-being at risk especially if they play with him roughly. To allow your children some beautiful time with your cute Maltipoo, make sure to teach them how to appropriately deal with him. (12) The coat does not have a unified color, as the colors of both parents also decide upon the final color of the dog coat. For example, breeding a purely white parent with a dog of a different color, the consequence would be a white faded coloring. The typical colors are black, blue, Café Au Lait, gray, red, or again,silver. It is quite natural that some colors are preferred over others, but the dog is arche typically known and recognized by its white color, which is the most popular for the dog. (13) Concerning other colors, apricot is quite beautiful, too. An apricot colored coat seems fluffy and altogether soft. Additionally, it has a fascinating tinge that most people admire. (14) Still speaking of colors, the brown one is not quite common to the breed. Because it is not recognized, it is often referred to in other terms such as toffees and chocolates. (15) Those who call the Maltipoo a mutt are completely mistaken, for there is a fine line between the two dogs. In fact, because we cannot identify his parents, a mutt is impossible to classify. 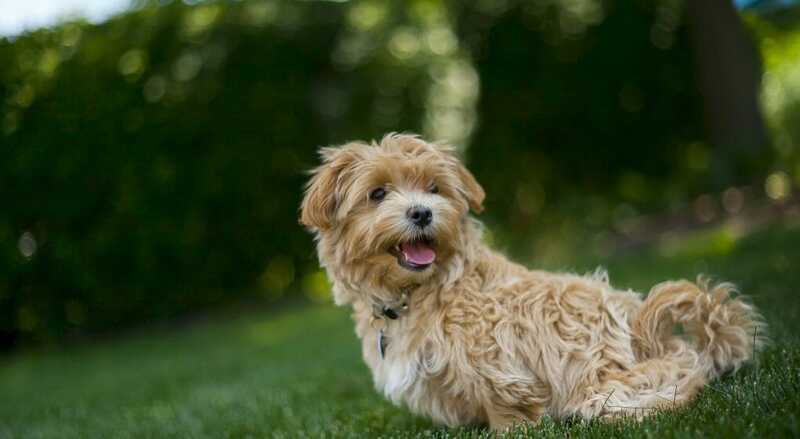 Maltipoos, however, are the outcome of an international and official breeding between two different dog breeds, more specifically, a Poodle and a Maltese. (16) The dogs’ different coats may appear alike if not neatly scrutinized. As a matter of fact, however, there are three types of coat on the dog, as a result of different breeding processes. Typically, the coats are either soft and silky, thick and curly, or wiry and wavy. As it is well-known that the last kind is the outcome of a poor breeding proceeding, it is not preferable among dog owners, and many people avoid it. For this exact reason, it is the least popular. (17) A widespread misconception about the Maltipoos is them being a result of poorly-skilled backyard breeders. This is a wholly falsified fact. Being a crossbreed or a designer kind of dog does not make it as such. Most, if not all, of current purebred dogs, came into existence as the outcome of breeding two totally different types of breeds. (18) With regard to female Maltipoos, mating and carrying a litter is only appropriate at the age of 2 and three years old; otherwise, it is unhealthy. (19) Thanks to his highly friendly instinct, the dog is a perfect companion, not only to people but also to other dogs and even cats. But just to assure yourself, you’d better test him before bringing in a new pet. More often than not, the two animals would tolerate each other and be kind to each other. (20) The general lifespan of the Maltipoo is 12 years old. However, if you know how to properly take care of him, and cherish him with maintenance, attention, and affection, you could expand his lifespan, making him live up to 14 or 16 years. This attribute is a heritage of his Maltese dog parent. 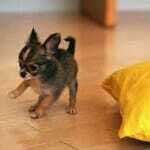 (21) As a matter of fact, small dog breeds have a longer lifespan in comparison to the big ones. 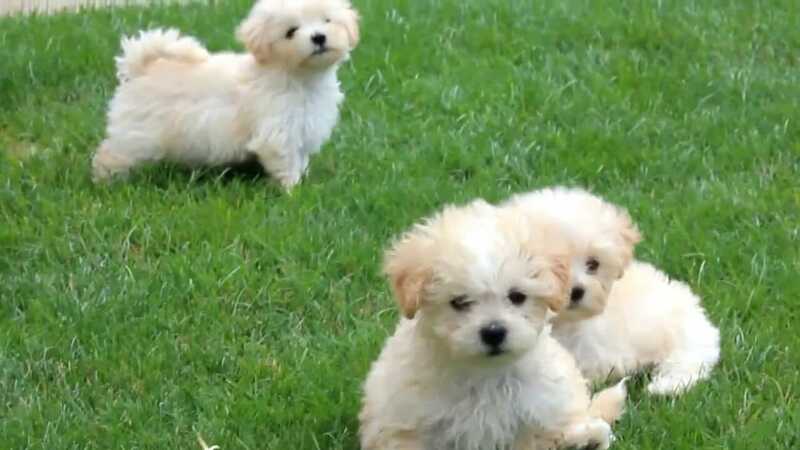 Teacup Maltipoo dogs rank among the small category. Notably, a dog is only classified as a small one when its size is less than 8 inches as an adult. Whether the dog is of small or large size may be confusing when he is still a puppy. (22) It is well-known of dogs that they are adaptable to any kind of food, and accept whatever you give them. However, they do not easily accept changing their nutritious routine, especially if you do it frequently. To avoid any harmful effects and safeguard your dog’s well-being, do not alter his diet before four. (23) Generally, adult dogs have a proper weight range, but it happened that the Maltipoos are an exception. However, it has been observed that the weight ranges from 5 to 20 pounds, with few exceptions. (24) Like any other dog breed, the Maltipoos are a subject to various health problems. Among these illnesses, we include hip dysplasia, allergies, dental problems, luxating patella, hypothyroidism, cardiomyopathy, white Shaker Syndrome, and Legg-Calve-Perthes Disease. Fortunately, all of these diseases can either be treated or avoided, but can be crucially fateful to his health if not treated. 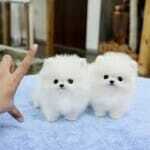 (25) Your Maltipoo should be trained as early as eight weeks old. At first, don’t be strict with your puppy, use only simple commands and take it slowly. (26) If you observe tear stains in your dog, do not panic. It is unhygienic, but not that s As a matter of fact, it is quite common among this breed, more specifically for dogs with the light-colored coat. Tear stains may be a result of leaking dyes from plastic food, bowls,or red yeast infection. You only need to neatly and carefully clean your dog’s eyes. (27) Your Maltipoo ought not to be left alone, especially for long periods of time. 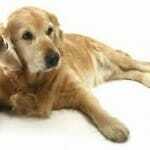 Otherwise, it gets frightened and anxious, ultimately resulting in stress along with constant barking. (28) Maltipoos are by nature fond of exercises, plays, and outdoor However, as they are, mostly, indoor pets, it is preferable that you don’t leave them outside for an extended period of time. In fact, doing so may be intolerable for them. Remember that your dog is small in size, so he does need supervision,and a leash for daily outdoor walks. 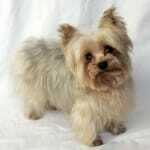 (29) An additional admirable trait of Maltipoos is their excessively affectionate, friendly, and loyal nature. In most cases, this is quite a positive trait, but it doesn’t make of them excellent guard dogs. All of the previously mentioned facts make of the Maltipoos the most popular and lovable among dog owners. 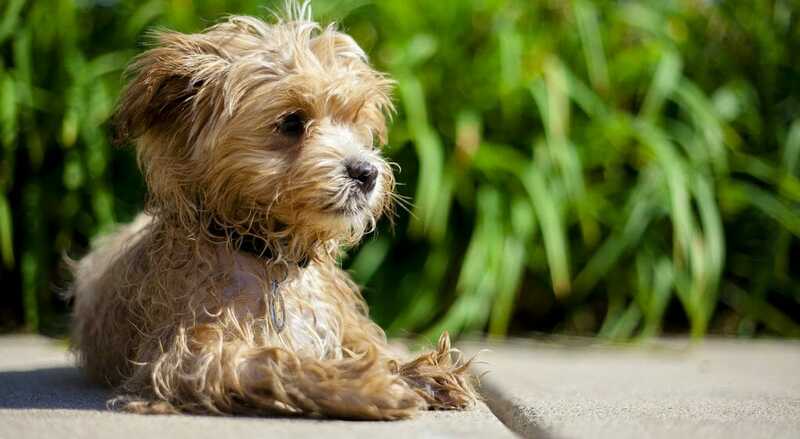 The best choice you can make is to have a playful, joyful, and lovable Maltipoo that is going to reciprocate to you the same love and affection.